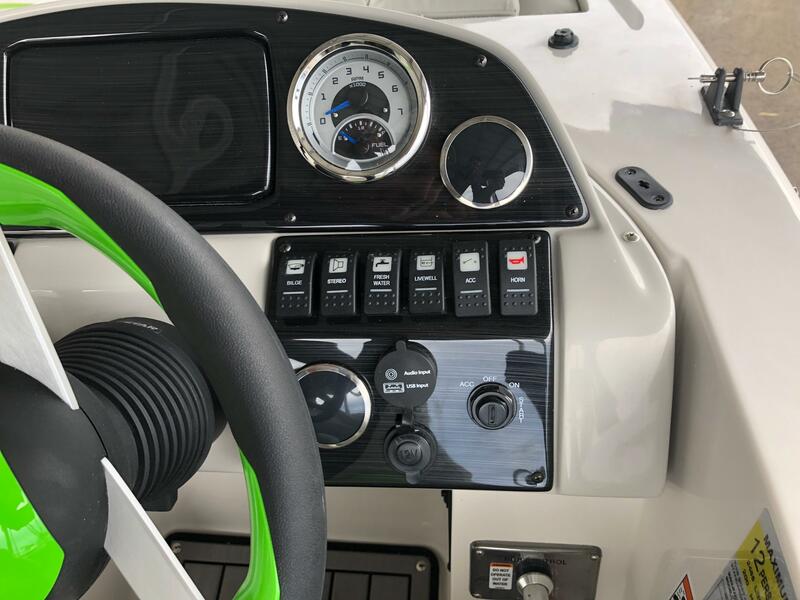 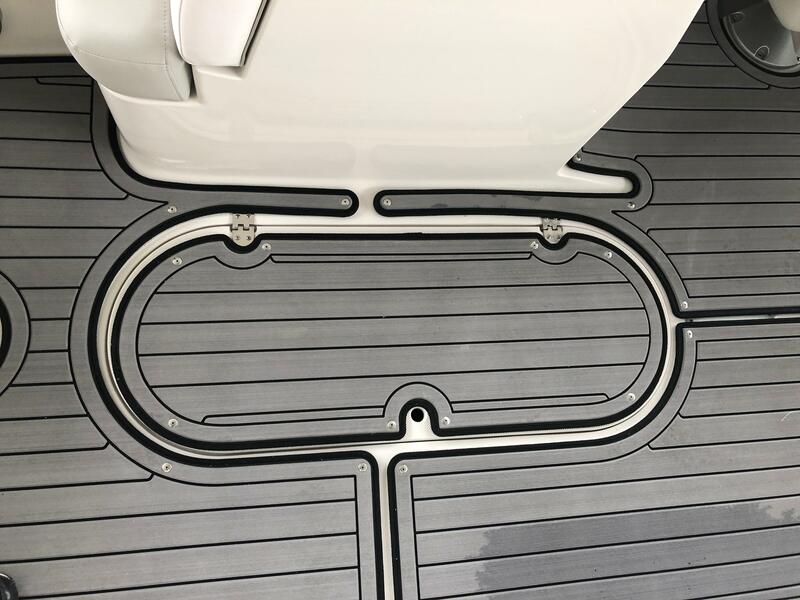 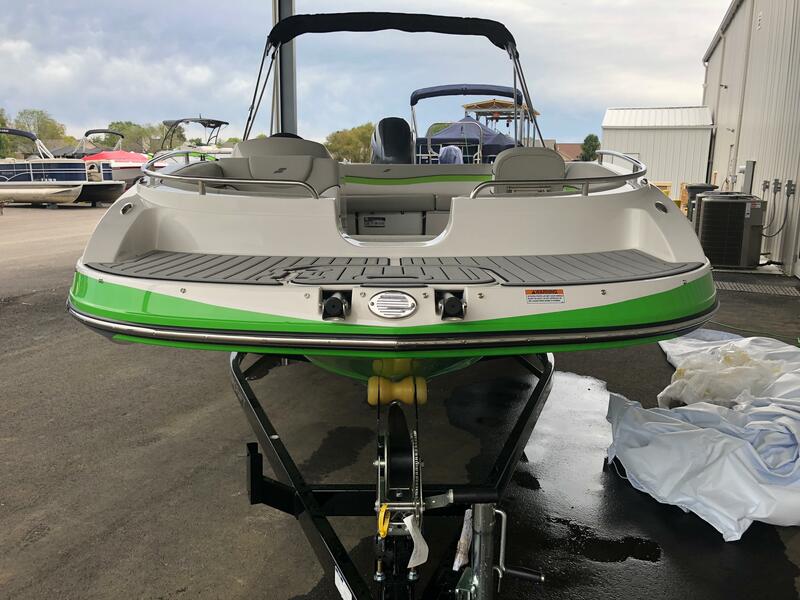 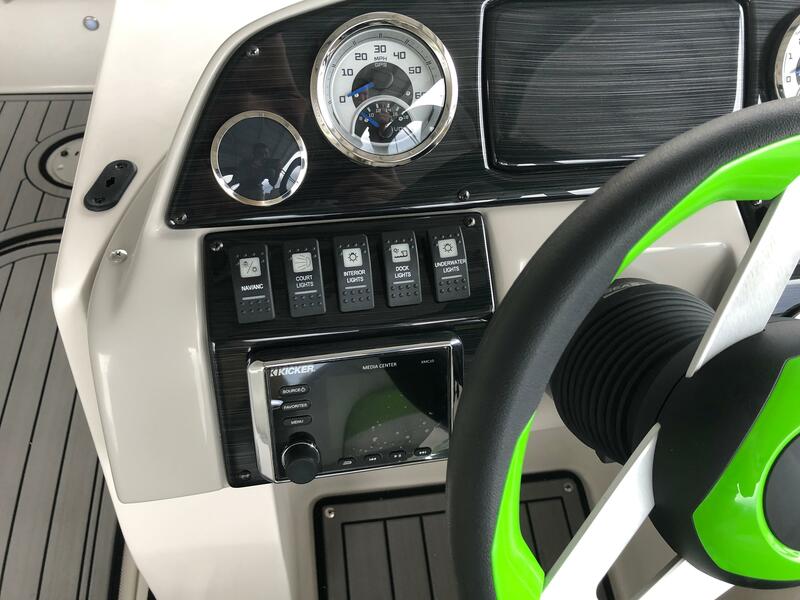 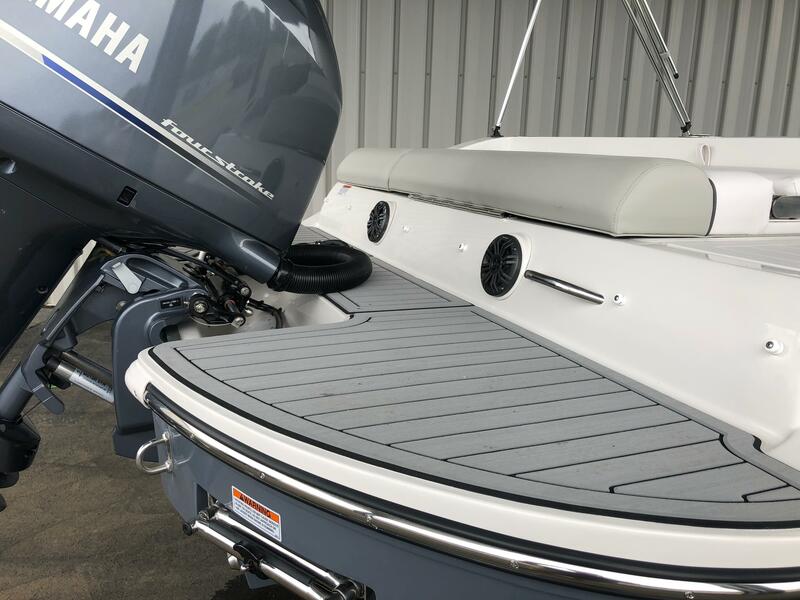 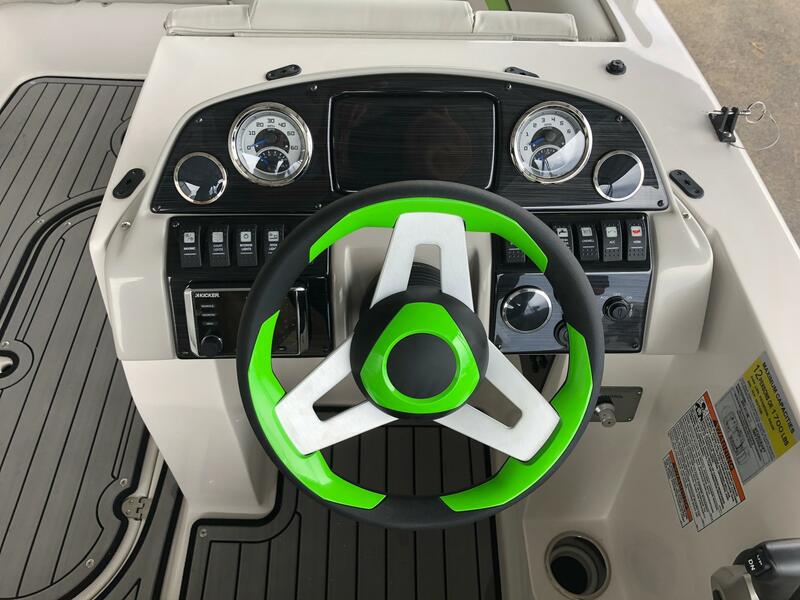 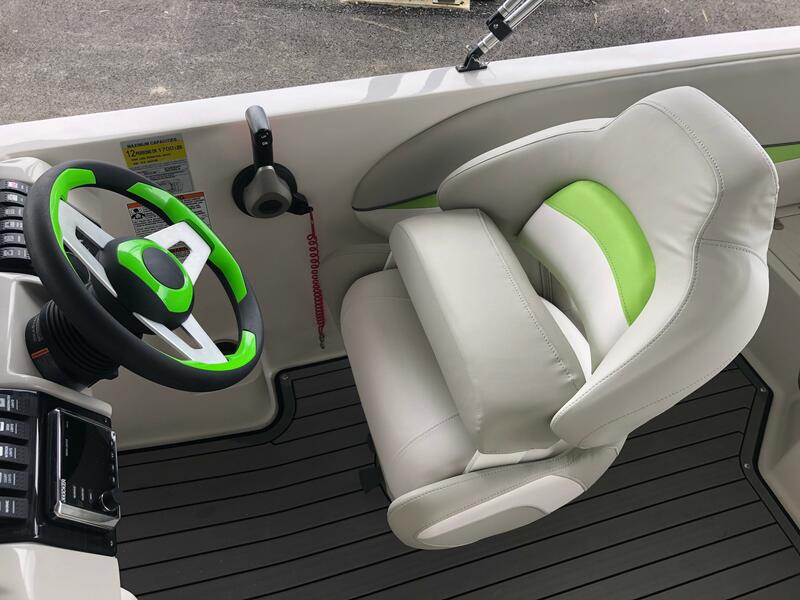 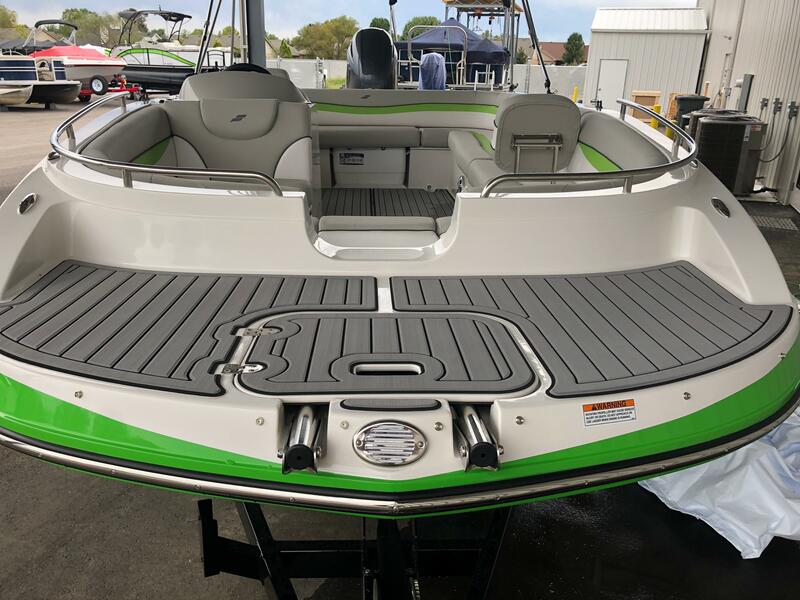 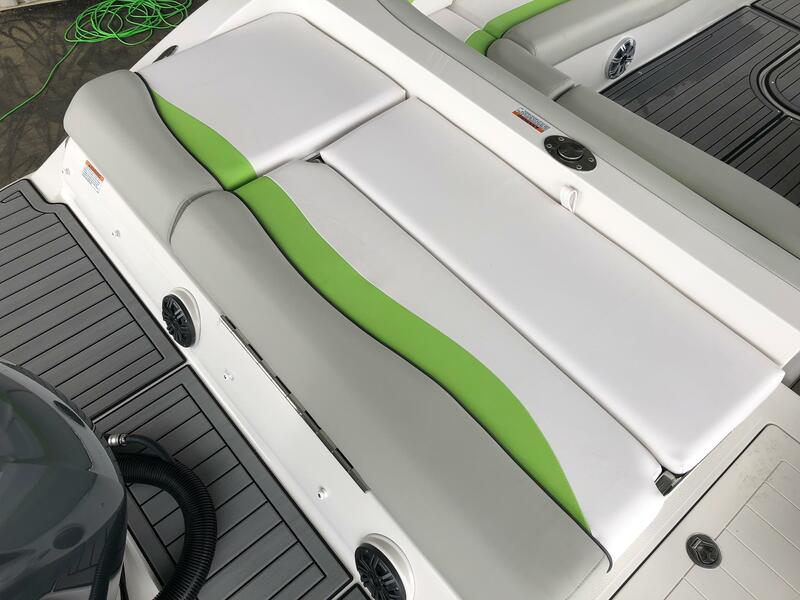 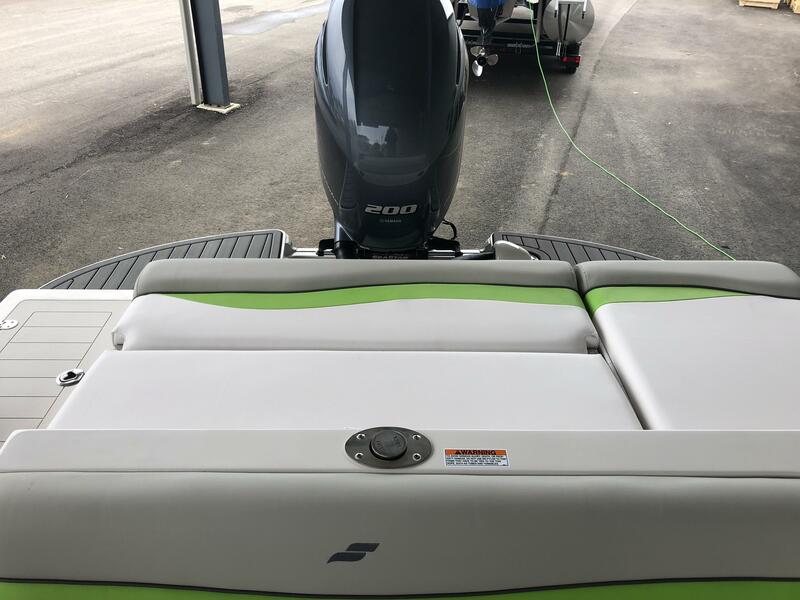 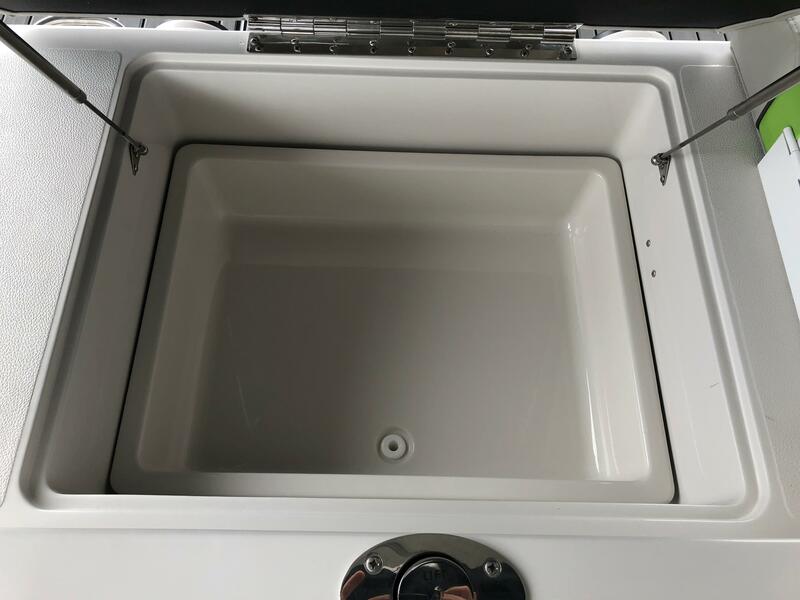 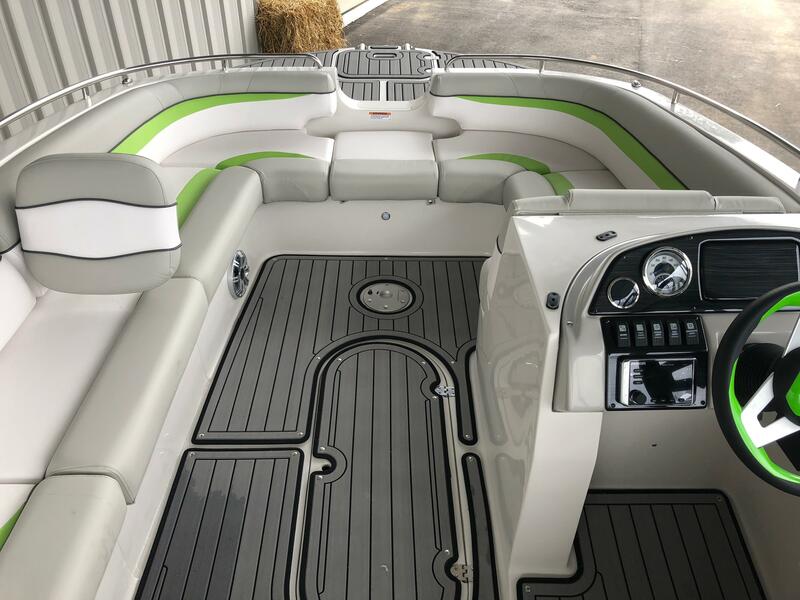 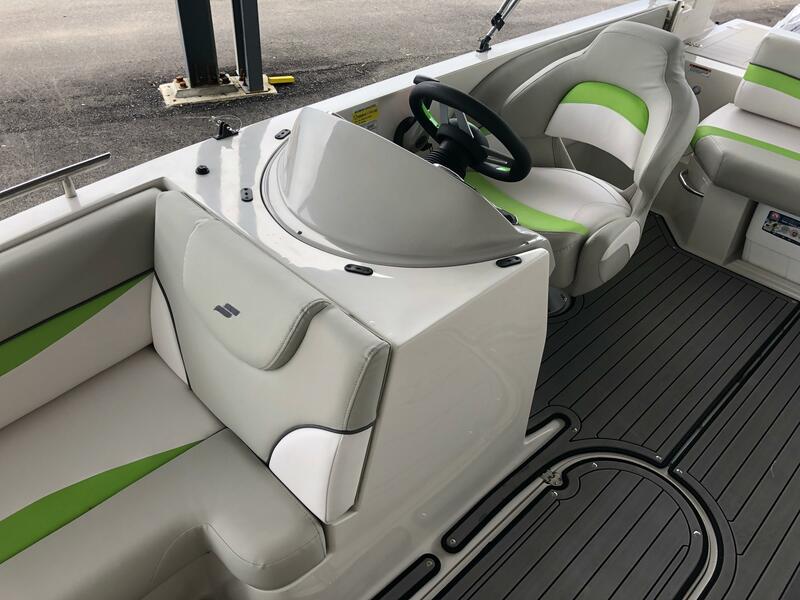 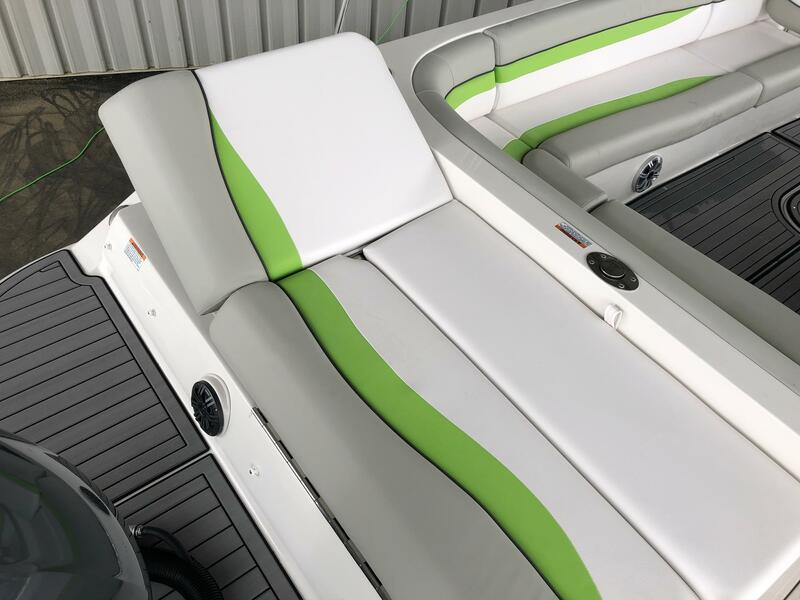 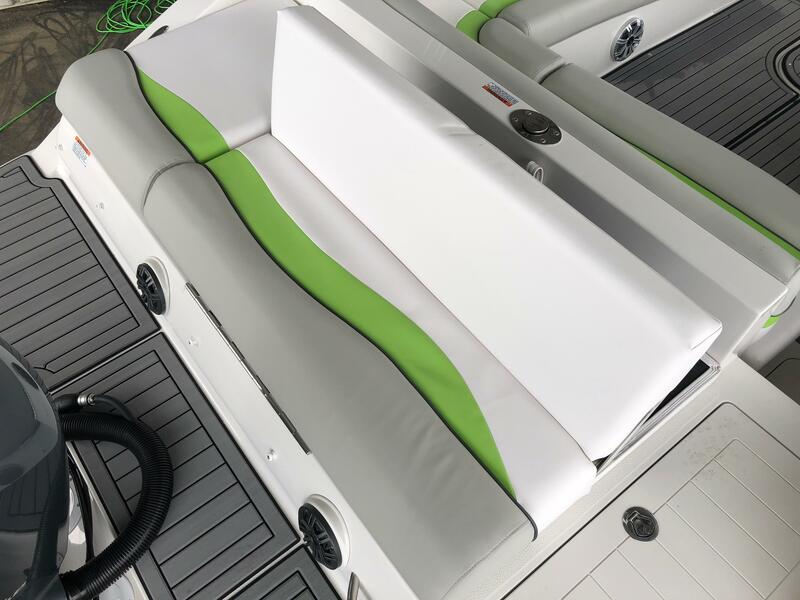 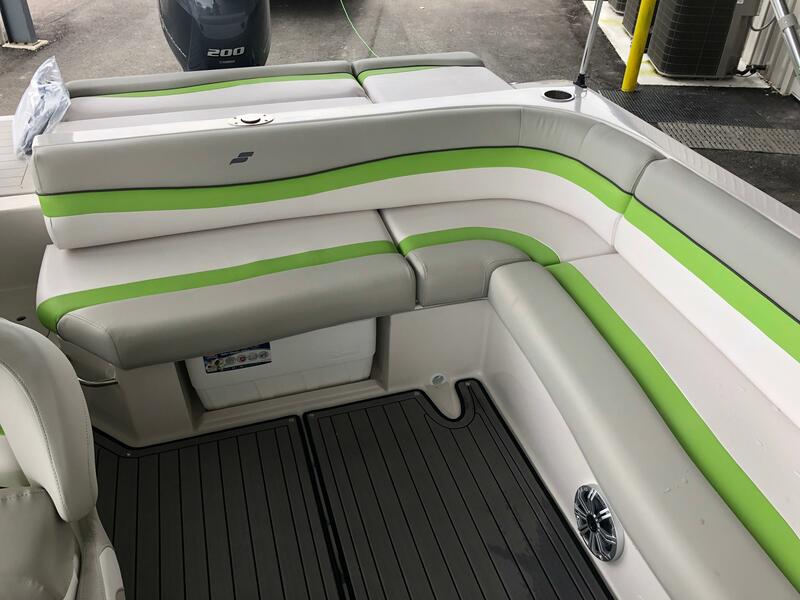 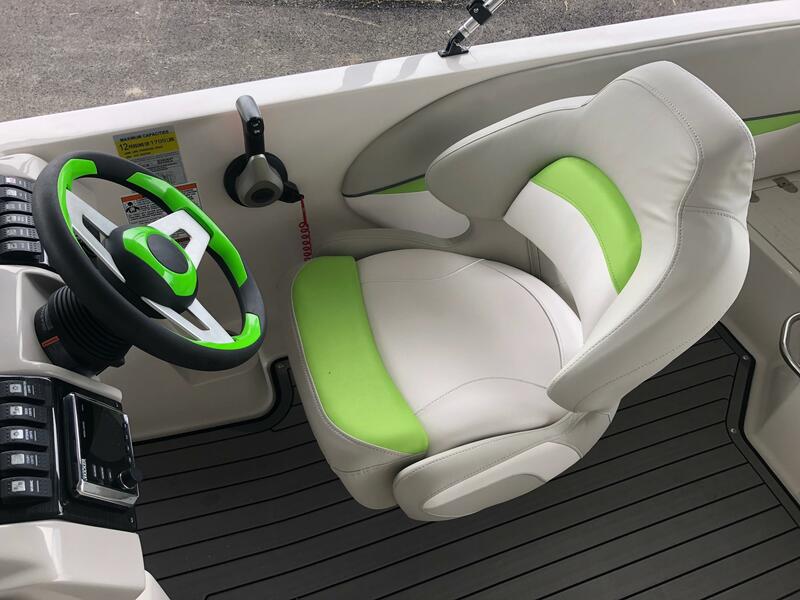 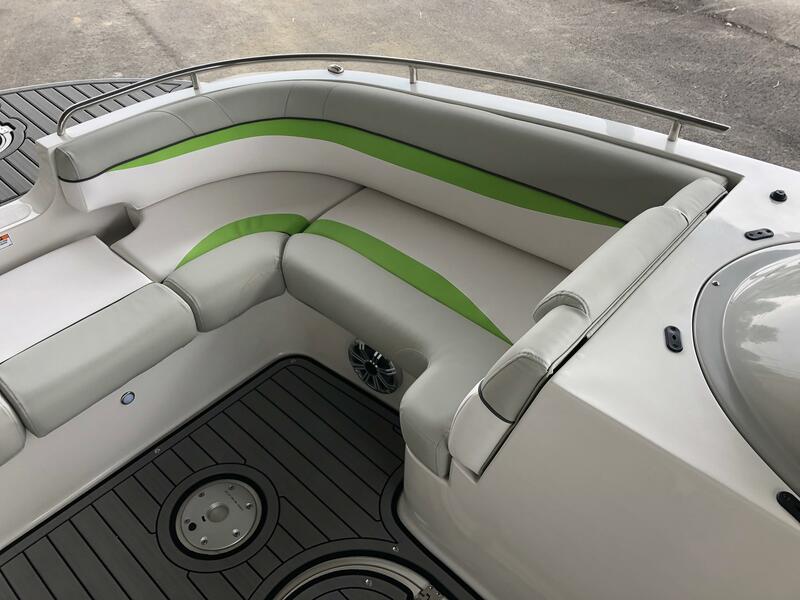 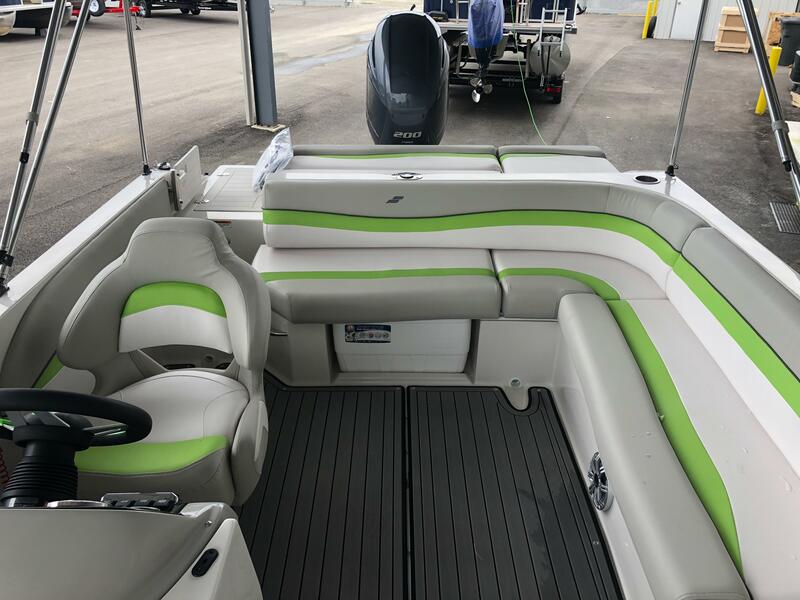 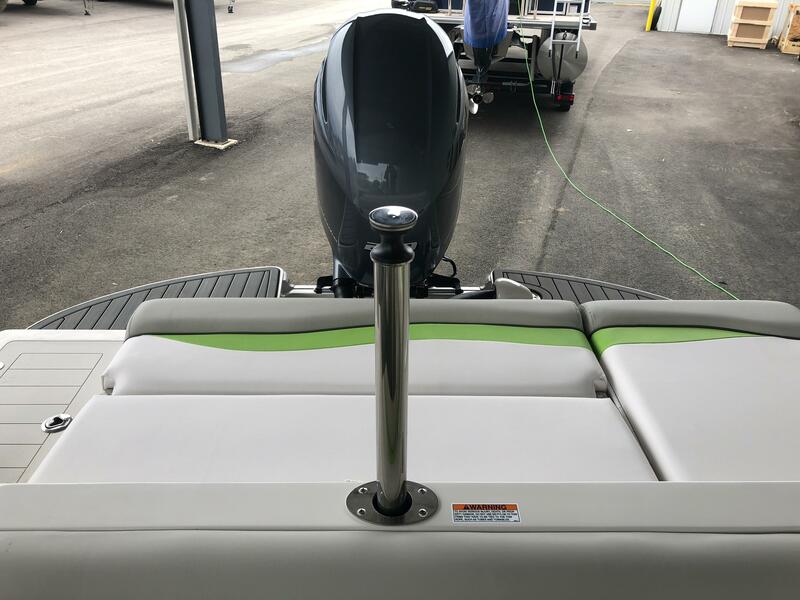 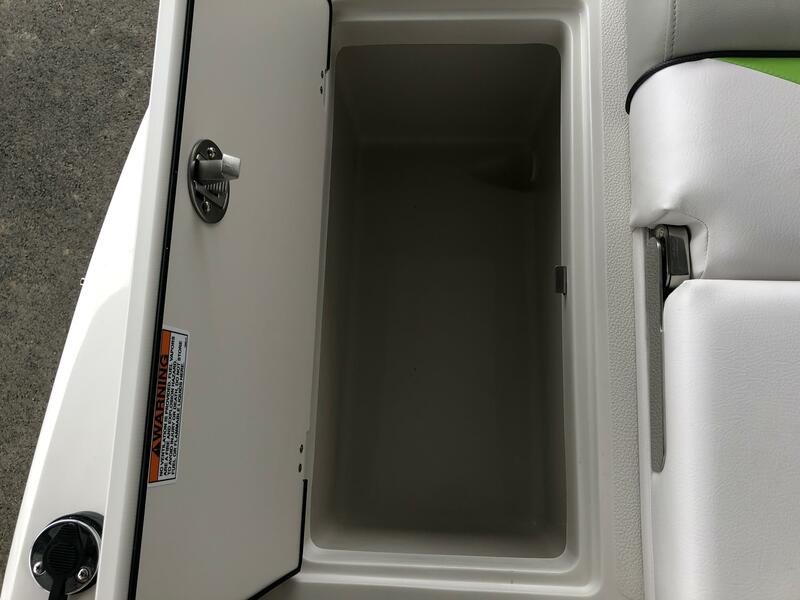 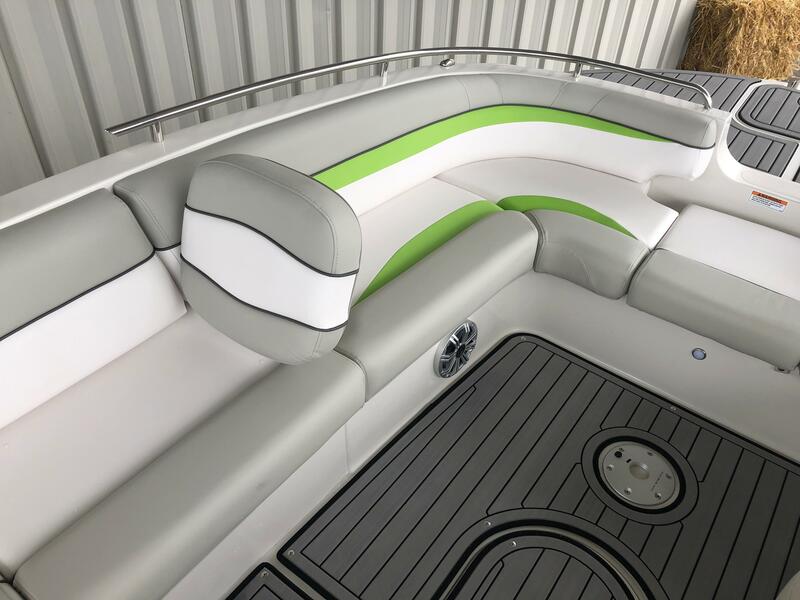 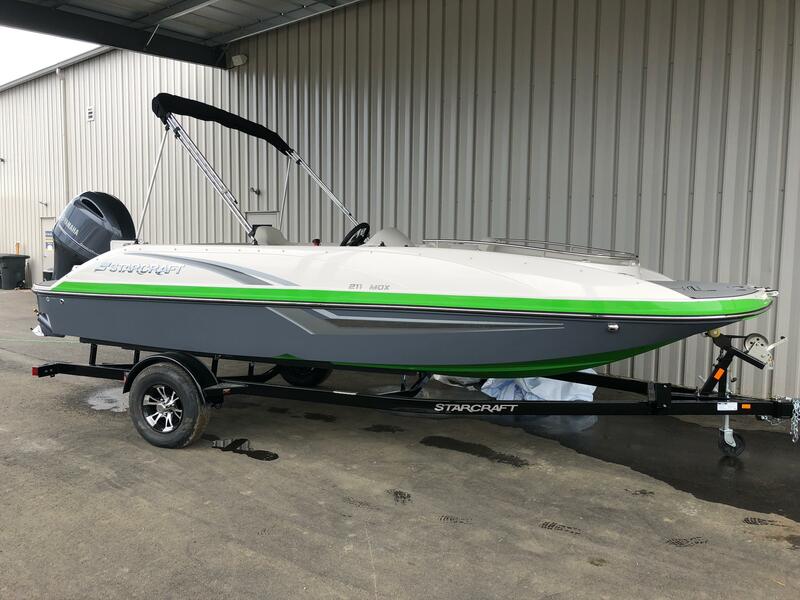 Here is a 2019 StarCraft MDX 211 OB deck boat. 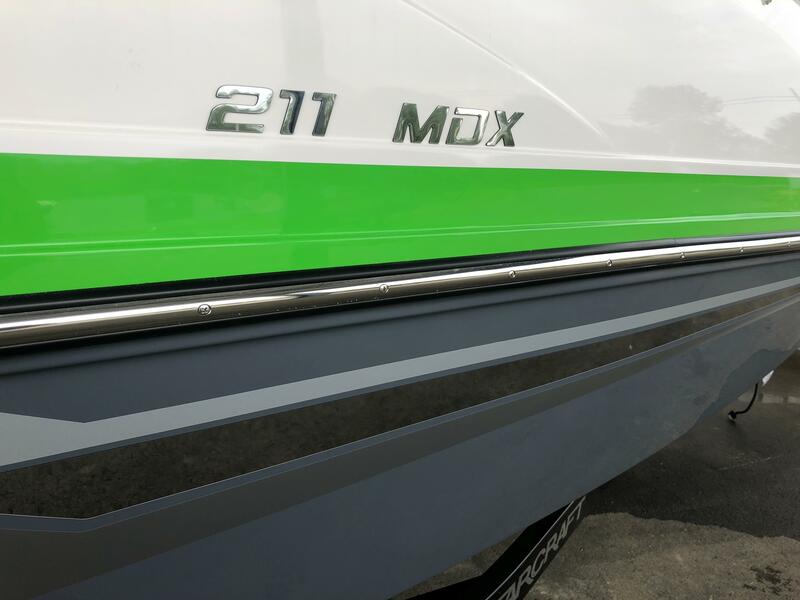 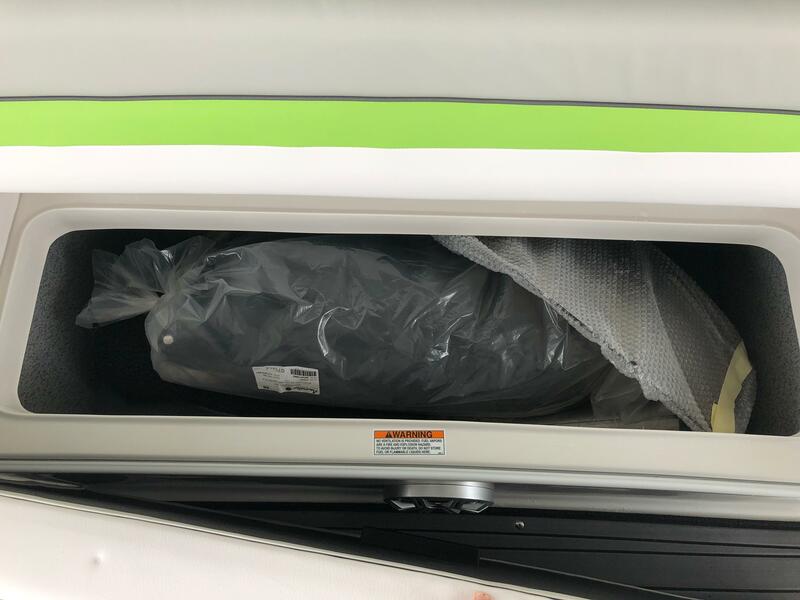 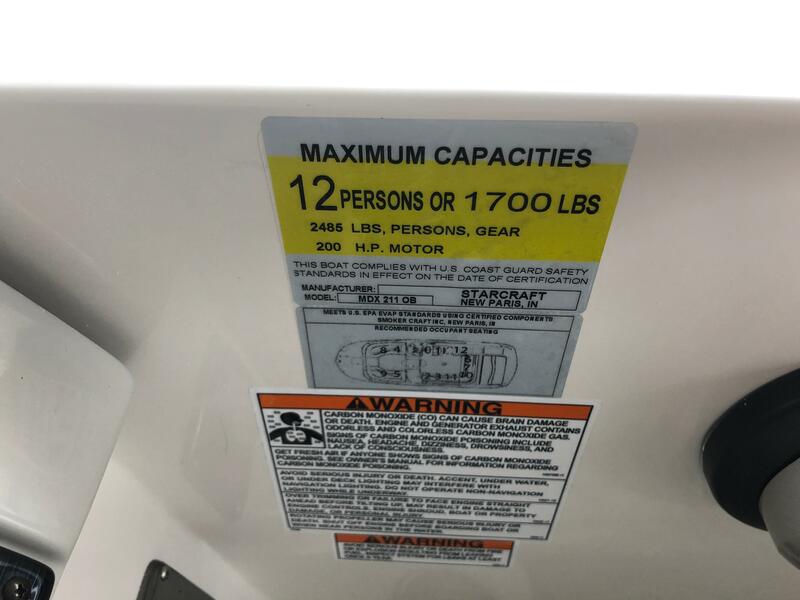 The MDX 211 measures in at 21 feet 10 inches long, has a 8 foot 6 inch beam, carries 44 gallons of fuel and has a passenger capacity of 12 people for 1700 pounds. 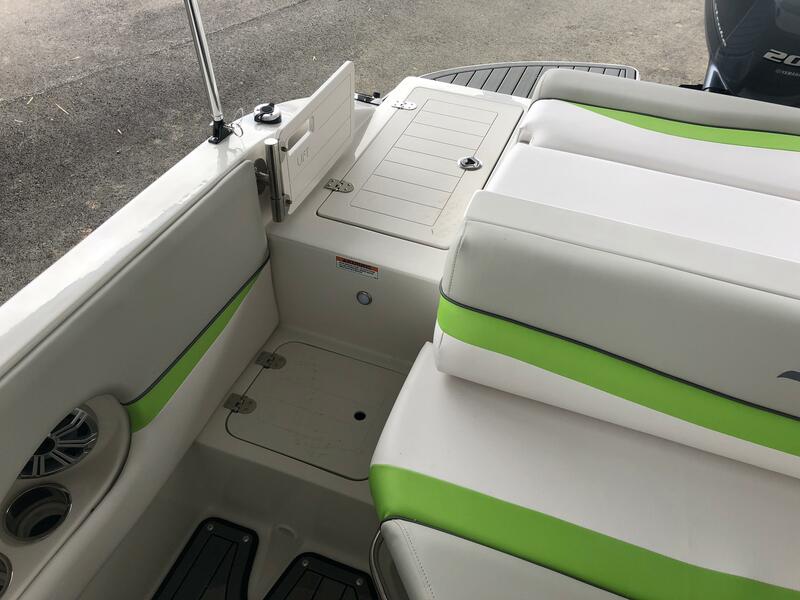 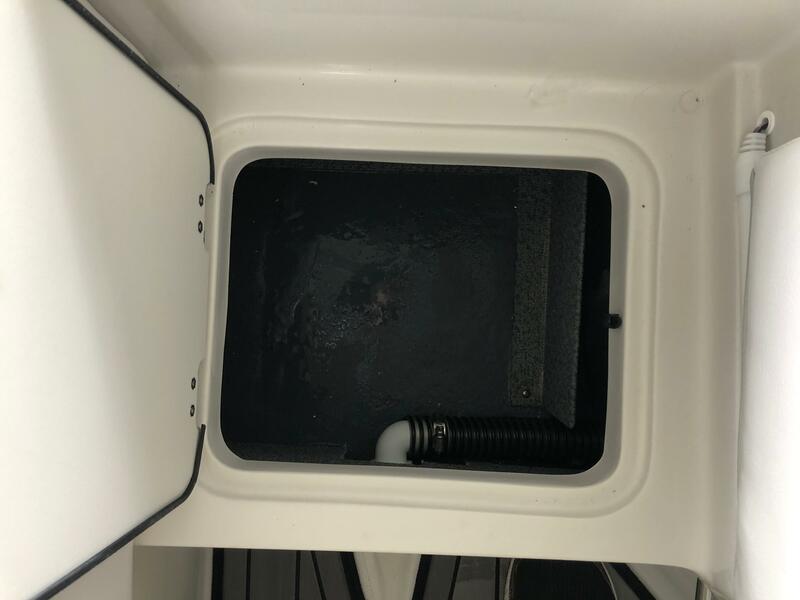 This unit has been upgraded with full marine mat on the swim platform, cockpit and bow platform, SeaStar Hydraulic steering, black cockpit cover, Ski Tow Pylon bar, transom stereo remote and speakers and a SX package that includes LED color changing speakers, cupholders, underwater lights and courtesy lights, stainless steel rub rail and flip-up bolster seat. 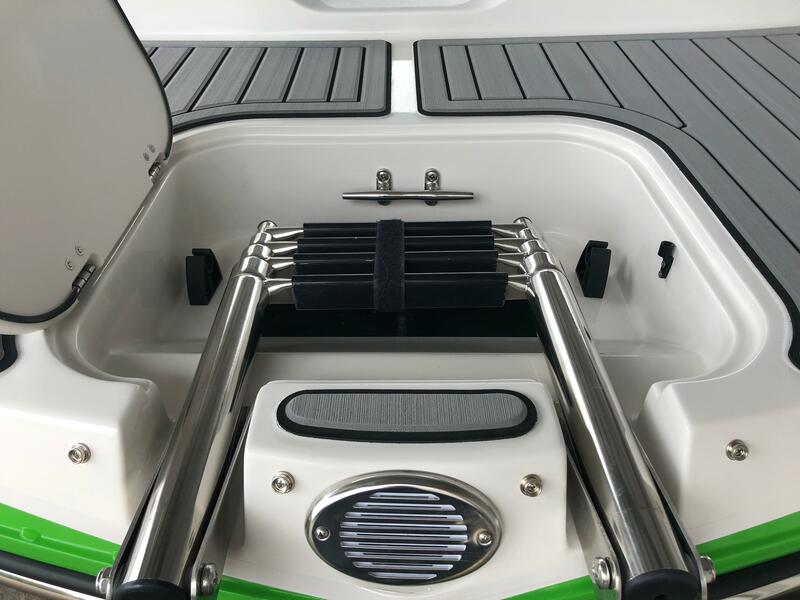 This 211 is powered by a Yamaha 200 hp 4-stroke outboard and rides on a Trailmaster trailer. 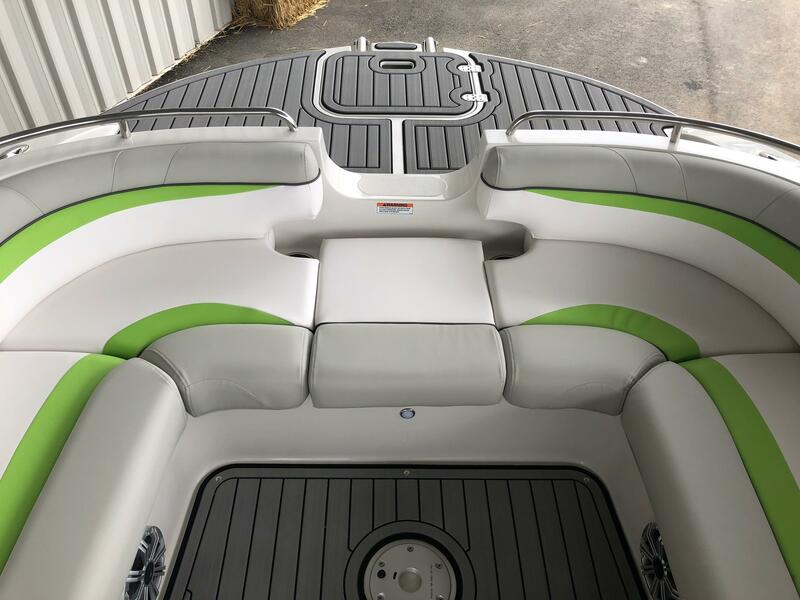 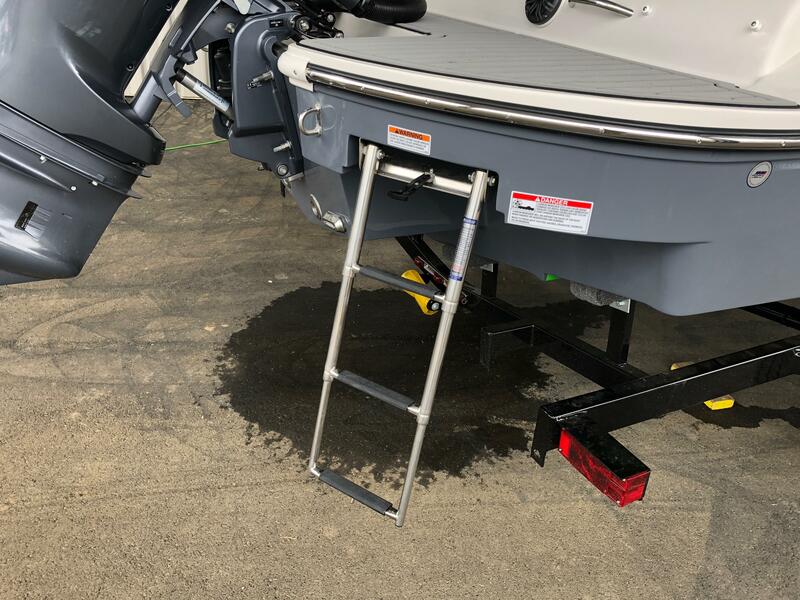 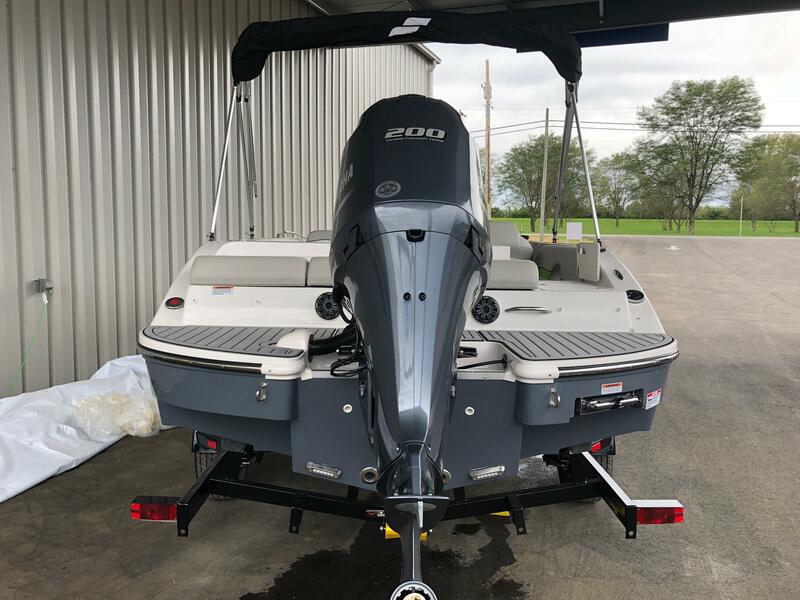 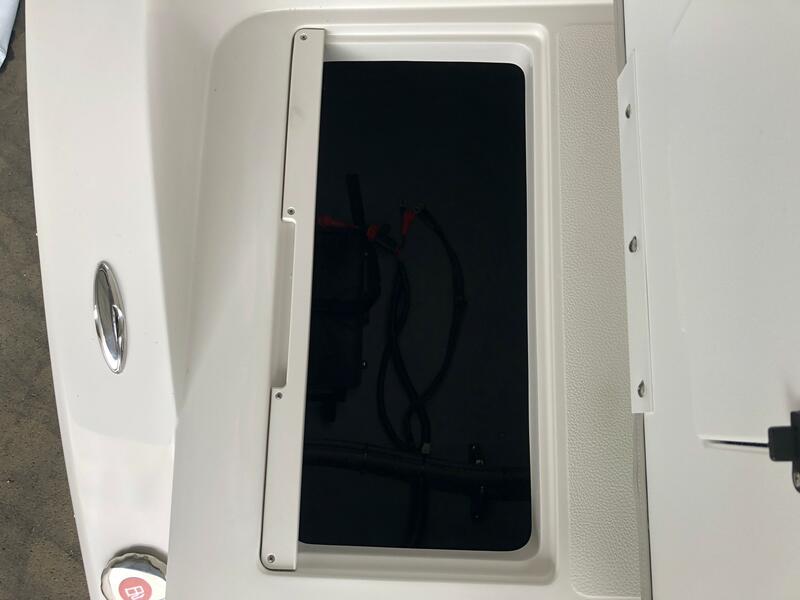 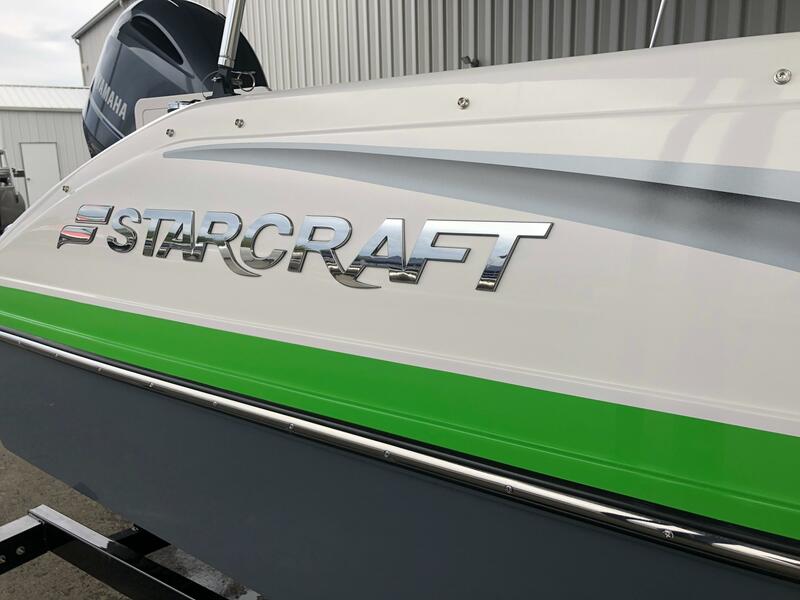 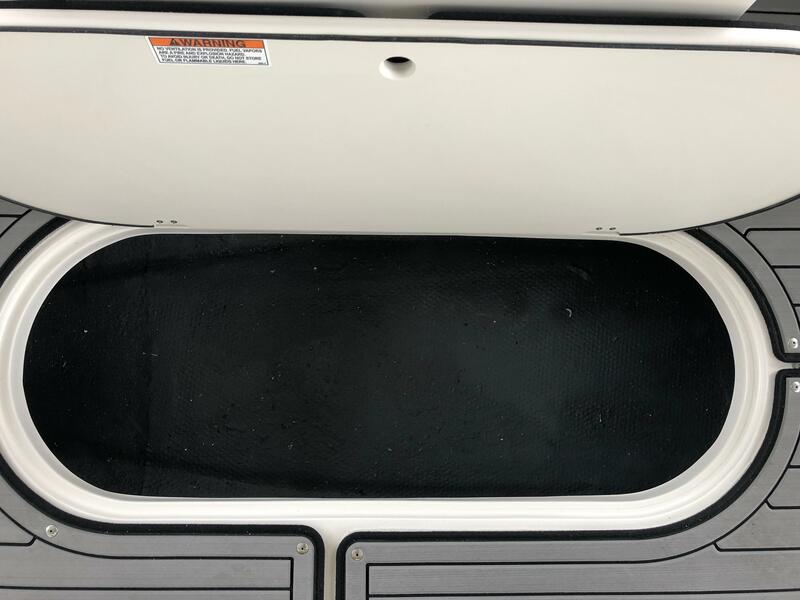 Please call us today at (513)-855-4402 with any questions that you have about this StarCraft or any of the StarCraft boats.